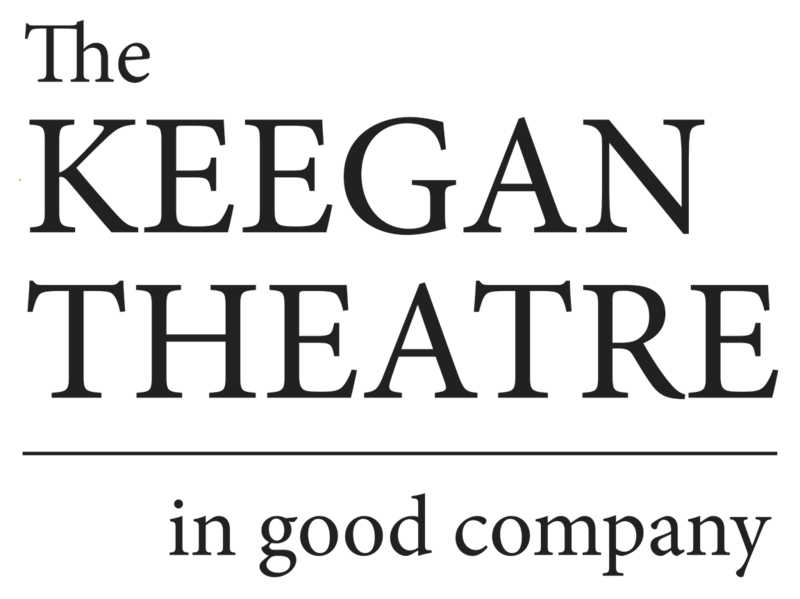 Let the audacious Irish players of Keegan Theatre Company put you into the holiday spirit with the world premiere of An Irish Carol, written by Keegan company member and Dublin native Matthew Keenan. Inspired by Dickens’ A Christmas Carol, An Irish Carol retains the themes of the Dickens classic, but brings the 19th Century novel into modern times moving the action from Victorian England to a pub in Dublin. 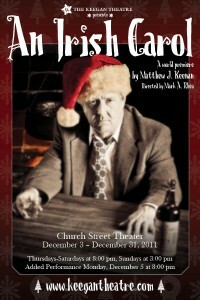 An Irish Carol is about a Dublin City bar owner. Over the years, he’s allowed all the unfortunate events in his life and the bad decisions he’s made to twist him into quite a mean-spirited fella. On this night, Christmas Eve, a few things take place that remind him of a past that he’s tried to put behind him, but can’t ignore anymore,” says Keenan. “Everything that represents the past, present and future takes place all in the one night and in different ways! He isn’t visited by ghosts in the way that you would know them from the Dickens version, but in a way he is….I don’t want to give too much away,” describes the Irish playwright. Featuring Jon Townson, Susan Marie Rhea, Mick Tinder, Mike Kozemchak and Kevin Adams, An Irish Carol will be the start of a new holiday tradition in the nation’s capital. Tickets are $35 for general admission and $30 for students and seniors.